What do we know about Russian girls? They are beautiful, desirable, and still a little exotic for foreigners. But what about dating them? If you google something like “How to ask a Russian girl out,” you’ll find surprisingly little info on the topic, which is pretty strange. Slavic brides have been on the world’s dating arena for more than 20 years, and this problem still remains unsolved. That’s because for Russian women, dating means more than for other ladies. Therefore, we’ll try to solve this problem and give you some advice so you could pick up a Russian beauty easily. Think where you want to invite the girl in advance, so you don’t have to make anything up on the go. It’s better to come up with a couple of options at once, so that, for example, if a girl refuses to go to a restaurant, instead of being embarrassed and running away, you could ask her out to the cinema. Decide when and where you’ll meet with the girl in advance. You may pick her up at the entrance to the cinema, near the metro exit, or at her house. Russian ladies love confident guys, so say the phrase you’re going to use when asking a girl out several times out loud. Sounds normal? Then go ahead and try it. Can I invite you to a restaurant? Guys use this phrase pretty often. Although it makes it clear that this will be a date and not just a simple evening, this phrase isn’t perfect. It's better to say something like: "Let's go to a restaurant this week." And if the girl agreed, you can choose a day to do it on the spot. If you’re looking for cute ways to ask a girl out, try to speak to her in Russian, asking “Pozvolte priglasit vas na oojin,” which means “Can I ask you out on a dinner?” Here, you should remember that a date in a restaurant means that a girl should choose an evening dress, do makeup, and so on, which takes a lot of time. That’s why this option is unstable and is not suitable for the first date with a lady you barely know. Maybe we can have coffee sometime? This phrase is the best way to ask a girl out if you practically don’t know her. It’s possible that you don’t fit each other, and a brief date in a café will help you figure this out. And the chance that she’ll say yes, in this case, is higher than if you invited her for a date in a restaurant. I have two tickets for the cinema. Maybe we can go together? Despite that the first date in a movie theater is not the best way to ask a Russian girl out, it’s possible that she will agree. Just don’t say goodbye and go home right after the movie; it's better to walk a bit and chat to get to know each other better. Let's say you met a pretty Russian lady on the street. In this case, you may be too shy to ask her out; besides, for Russian girls, dating is a serious step, so she may refuse. It’s better to take her phone number and invite her on a date the next day. The advantage of this method is that she won’t see your face, which means she won’t see that you’re blushing and terribly embarrassed. If you manage to pronounce the text of the invitation with a confident voice, you may succeed. Don’t start saying that you want to meet with her right after you called. Begin with asking how she's doing to chat for a bit. Gradually move on to finding out her plans for the day you planned a date on. Don’t worry too much: if the girl gave you the correct number, it means she would like to meet with you. Social networks are the simplest and safest way to ask a Russian lady out on a date. You don’t see her, and she doesn’t see you and your face, so she doesn’t hear your stammering voice. The written text of the invitation can be corrected and perfected for as long as you like. In general, it’s a great way, perfectly suitable for shy guys. 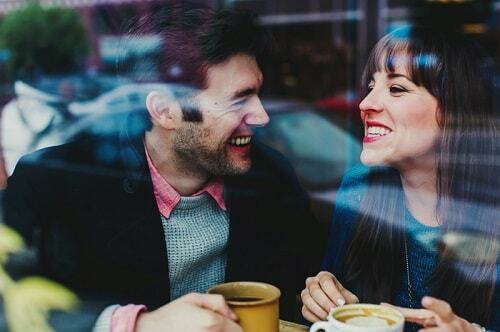 Focus on the situation: it’s up to you to decide whether to ask her out on a date right from the start or to talk to her a little and get down to business after.